Brazil Investigates Possible Corruption Related To Dam Collapse The country's mining secretary says the state will investigate potential collusion between the mining company Vale SA and auditors to misrepresent the safety of the dam, which burst in January. An aerial view shows flooding triggered by a dam collapse near Brumadinho, Brazil, in January. Brazil has opened a corruption probe into the disaster. Brazil has opened a corruption probe into the Vale SA dam collapse that killed at least 180 people in the southeastern part of the country. Alexandre Vidigal de Oliveira, the country's mining secretary, said on Friday that the government is looking into possible collusion between the mining company and auditors to misrepresent the safety of the dam. "The law is clear in punishing companies if they are found to have colluded to prevent proper government monitoring," the mining secretary told Bloomberg. "I've requested the start of the probe and now the mining agency has 180 days to present some conclusions." 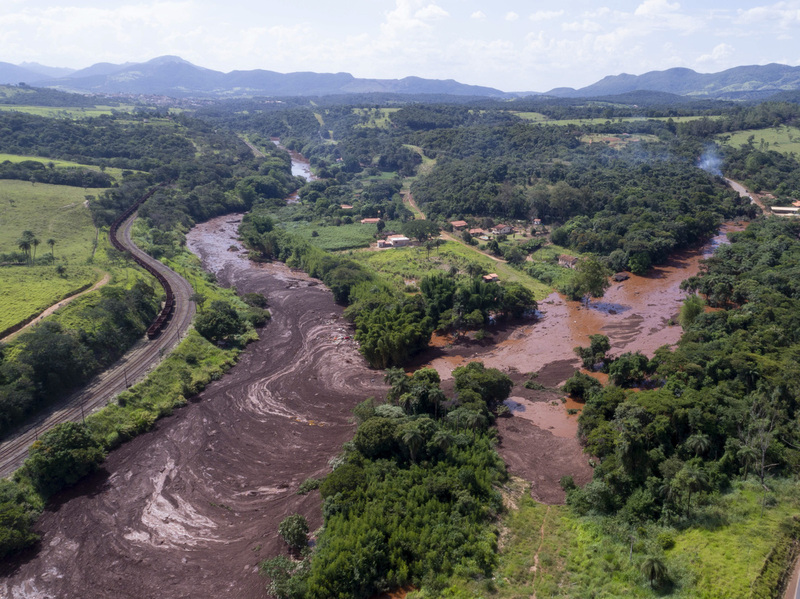 Vale has already faced fines, seizures of property and personnel arrests over the Jan. 25 dam rupture on the outskirts of the city of Brumadinho, which buried hundreds of people and sent debris and sludge flowing through the region, including into the nearby Paraopeba River. The National Mining Agency, a regulatory agency launched in late 2018, will lead the new corruption investigation, Reuters reports. The government has not yet determined the cause of the collapse but has been auditing hundreds of similar dams across the country to try to prevent future disasters. If Vale is found guilty in the corruption probe, the mining giant could be on the hook for up to 20 percent of its gross revenue for the previous year in fines. Vale has not yet released its fourth-quarter earnings for 2018, but estimates show that the penalty could be as high as 25 billion reals, or 6.6 billion dollars, according to Bloomberg. Judges had already frozen close to $3 billion of the company's accounts to preserve money for compensating victims and mitigating damage. A state court has also ordered Vale to stop depositing tailings — mining waste — in its dams, following January's incident and a similar collapse of a Vale-operated dam in 2015. The company has said it is cooperating with authorities. In a statement on Feb. 20, Vale also said it was preparing to make payments to residents of Brumadinho and those who lived close to the Paraopeba riverbed in affected areas. Environmental group SOS Mata Atlantica said Wednesday that toxic debris from January's collapse wiped out much of the aquatic life in the river.